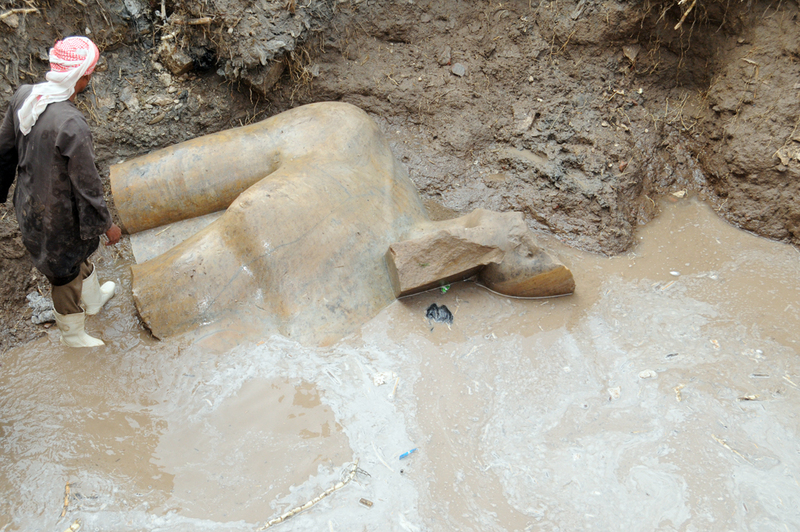 Since the discovery of the colossal statue of Ramses II in Mataria by a German mission on Thursday, photos circulating online and on social media raised controversy regarding the using of a backhoe loader to extract the artefacts from the earth. 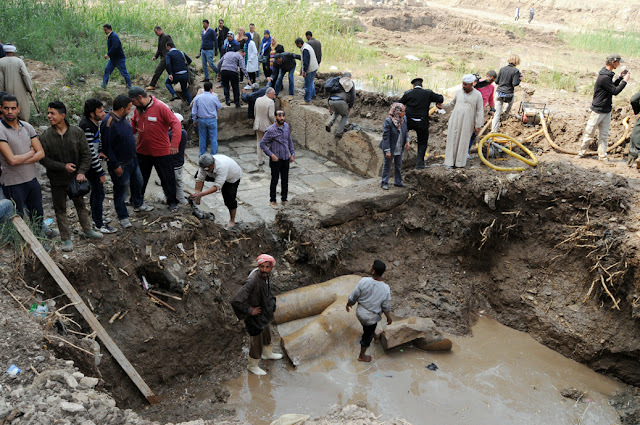 Some reactions have went as far as accusing the means of transportation to cause damage to the statue and others have accused the mission as well as the Ministry of Antiquities of neglect. ‘‘Souq Al- Khamis is a very important archaeological site where I personally begun excavation work and in which we found the remains of the temples of King Akhenaten and King Thutmose III and Ramses II. The Mataria area suffers from ​​a very big problem which is that all the houses and modern buildings are built over the remains of temples and ancient tombs. Additionally, most of the artefacts there, whether statues or temples, are found below the ground water ranging from two to four meters deep. It is difficult to transfer the artefacts from below the groundwater to the ground surface. In the past, I had discovered two tombs, one of which was located below the ground water as well. I would like to confirm that out of all the artefacts and statues that were found in Mataria, none has ever been found complete. These statuses were destroyed and broken during the Coptic era; this was a time where the Copts considered them as pagan buildings and temples. In accordance to that, they had them closed off, destroyed all of the statues and temples as well as re-used the blocks in buildings churches, houses and private buildings. Accordingly, there has never been the discovery of a complete statue in Mataria. I have also contacted the German archeologist Dietrich Raue, director of the German excavation in Mataria in order to the extent of the discovery. He sent me a video-statement which showed the excavation work and he sent me photographs of all the taken steps during the transportation of the artifacts. I would also like to clarify that the process of transporting any statue of a large size, such as the discovered statue in Mataria, was assisted by heads of workers from the city of Qeft. 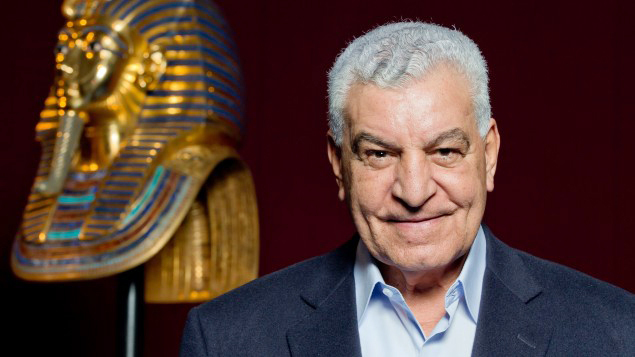 They are trained to the highest level for transporting heavy statues such as through the example having done this work in Saqqara with the El Kereti family. The workers transported various statues and sarcophagi, some of which weighing 20 tons. 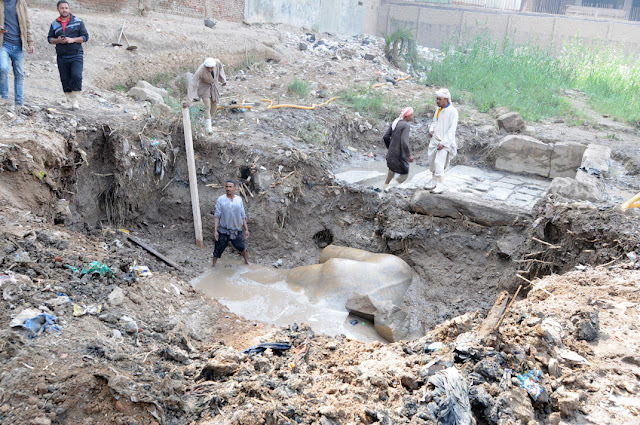 As to what occurred during the Coptic Era, the discovered statue in Mataria was broken to various pieces. In regards to the immensity of the statue, I confirm that it belonged to Ramses II and not to any other king seeing as the temple belonging to this king was found at the same location. The mission found two pieces of the statue: the first piece is a part of the crown and the second piece is a large part of the body of the statue, which weighs 7 tons. It became clear that the crown represents a large part of the head and it is largely comprised of the crown, a wonderful and complete right ear and part of the right eye. The mission used a hoeback loader to extract it from the earth and this was a 100% rightful act since the hoeback loader is used in all archeological areas. The head of mission, Dietrich Raue, assured me that the process of lifting the part of the head had done in extreme professionalism and the statue didn’t suffer from a single scratch but that the damage done to the face had occurred in the Coptic era. And so, this small piece was moved easily but the rest of the statue, which represents a part of the statue, is located at the site now. It will be transferred next Monday also using a crane because there is no substitute since it is below the ground water. The piece will be supported by a wooden panel as had been done with part of the head. If it isn’t transported in this way, then it will never be transported. This is the method used in all countries of the world in order to move any archeological artefacts of this size, located two meters deep below the underground water. Therefore, I assure that what was done by the mission was an integrated scientific work in saving the discovered statue and that is no any other way for the mission but to use these machines that preserved the statue. I am very happy with the transportation of this statue and its discovery because it has generated great publicity before the whole world. Egypt has had the good fortune of having witnessed two major Egyptological discoveries in this last week alone, one of which was done by Dr. Hourig Sourouzian in Luxor and the other being of this colossal albeit fragmented statue of king Ramses II near the ruins of Ramses II’s temple in the ancient city of Heliopolis with Seti II statue which not many media outlets even mentioned.